I haven’t written in this blog for a hot minute. Been busy starting my business and also performing around LA. I had a gig last night at the Viper Room on the Sunset Strip in West Hollywood and I’m performing Friday, October 7th at El Cid, 9pm, near Silverlake. So, things are picking up, but still working on things. I’ve been thinking about this topic for a couple of days, and I thought I should write this out. There are some albums that really had an impact on my life. I wanted to write about my favorite albums, but that was tough, because what I like keeps changing, so I thought some of these top albums are actually the most influential albums, the albums that came into my life at an important time in my life that I cannot forget. 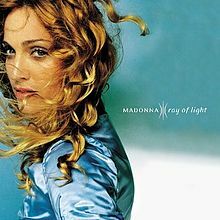 First off, Madonna’s Ray of Light album. This album came out in 1998, over a decade ago. This album came after Evita and Madonna’s first child, Lola. Giving up her weights for yoga, Madonna changed her beliefs and this album is her most spiritual yet. The album won four Grammys and launched a comeback touring career in 2001 with the Drowned World Tour (in which I happily attended). I remember when this album came out, on VH1 (when they actually showed music!) They had a massive, I mean massive video documentary on Madonna’s music career, hours of showing her music videos and chronicling her life. After that, I was a bonafied fan. I loved the Frozen music video, I loved the messages and this album also came out the year my mother passed away. This album means a lot to me, it launched my Madonna obsession, and it’s a beautiful, classic album that still holds up beautifully today, and still today, nothing really can compare or sounds similar to this album. 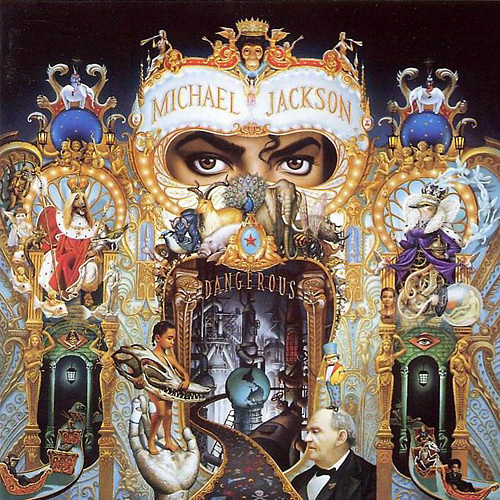 Next up for me is Michael Jackson’s Dangerous Album. I know, I know, what about Thriller? Off the Wall? Bad? He had way better albums. Yes, but Dangerous came out in the 90s when I was growing up, and to me, it just blew me away with the timing, rhythm and production. Yes, I’m gonna be the cheese standing alone, but I liked this album. I wanted to sing and dance like Michael Jackson. It was like flying. I started twirling and I taught myself how to dance. “Who is It”, the syncopation and rhythm is ridiculous, one of my top MJ songs of all time. Also, the music video releases of “Black or White” and “Remember the Time” were huge. I remember waiting by the TV, watching MTV WAITING for the release of the music video. That JUST doesn’t happen anymore. Those were huge music videos. I wanted to create music like that, music that inspired people, that made people excited. I wanted to fly like Michael. Aaliyah’s last studio album has a special place in my heart. That album is true soul and R&B and those songs talk about domestic abuse, being the other woman, and other topics that I still don’t hear about. A very soulful album, from the late Aaliyah, she proved that she had more soul crooning a note than a diva belting out her heart. It wasn’t about being a complicated singer, her voice was smooth and wiser beyond her years. I love this album and I pull it out from time to time. The production still holds up to today and her voice was one of a kind. 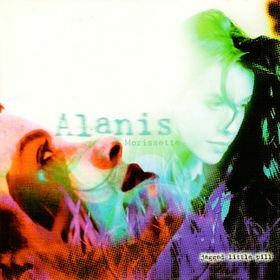 Alanis Morissette with Jagged Little Pill did things with lyrics that’s hard to say anyone else has done. Her syllables were all over the place and she made things work and broke the rules in song writing that not only was catchy, but started a mini-revolution of girl power. Her angst-ridden songs let women be pissed off at their exes, in a way that really doesn’t get talked about at all. Usually break up songs are sad, with a lonely feel, Morissette was like, dude, you screwed me over and you’re gonna hear about it! It was one of my first albums I ever bought and I remember lying in bed with my walkman waking up in the morning to this album, listening to it over and over. What a great first album to buy and get hooked into. I feel sorry for people that buy whatever pop fluff is out now. 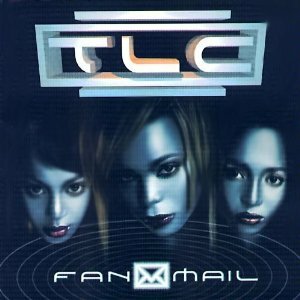 Another album, I actually don’t really listen to much anymore, but has made an effect on me, was TLC’s Fanmail. I travelled to Paris and Spain and I remember listening to this album while driving around Europe. This was a great power group, and this album was awesome with “Scrubs” Yes! A song about these loser guys that we’re sick of! I gotta remind myself of that song more often. There were song great songs and productions on this album. Sometimes I’ll hear a female R&B singer copy what TLC has done with their sultry voices and melodies, but it’s not the same. 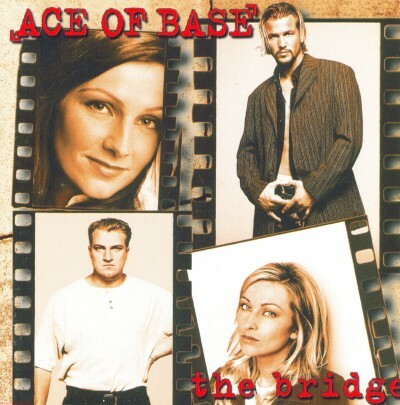 Please don’t shoot me for this next selection, but Ace of Base’s The Bridge was an awesome Pop album, and if you listen to it, you’ll definitely see where Lady Gaga has gotten a lot of her inspiration. The Bridge pushed the boundaries with Pop music and synths. The melodies and lyrics are great, they sing about different kinds of topics, and it would be awesome to hear a modern day version of this album. Ace of Base is bomb, and I always come back to this album. I heard “Beautiful Life” on an airplane and instantly loved it. And I’m going to have to stop for now. I’m missing albums of course, there are so many albums that have influenced me, but this is a pretty good start. As you can see, I love 90s pop and rhythm. Like Me! Follow Me! Love Me! Check out my Music Examiner Site! Answer this Poll! How do you find new music? How do you find new music? Exclusive interview with Elena Ovalle who talks about upcoming release of new single ‘Shoot me down’ and more!! !